All the traditional look of a squash blossom necklace, with just a touch of contemporary color, this sterling beauty will be easy to wear with any outfit. Turquoise and all shades of spiny oyster shell provide a lively color palette. Handcrafted by Navajo artist Robert Bird. Measures 23″ in length. 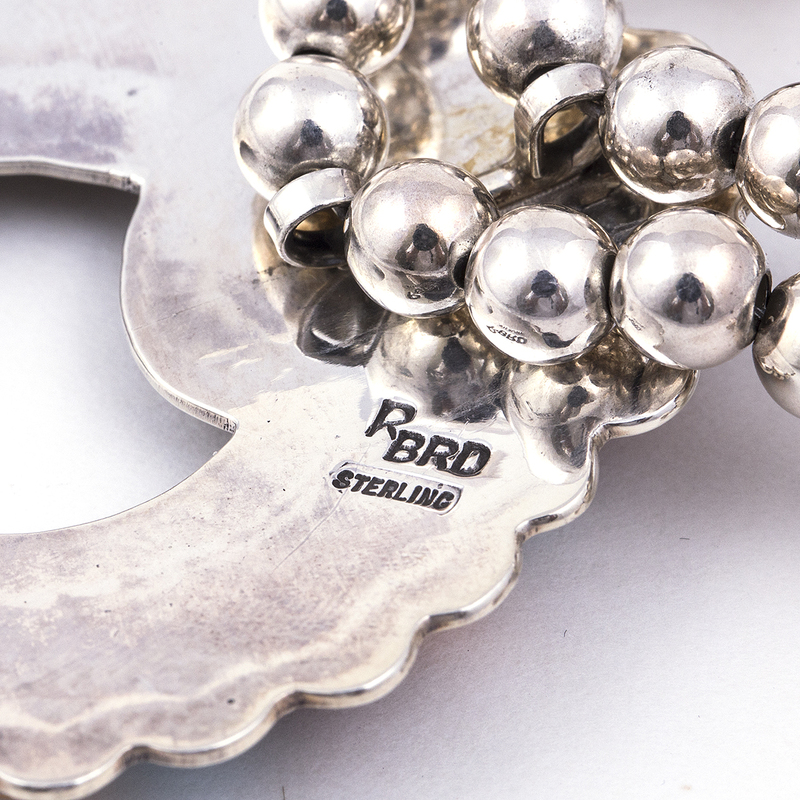 Hallmarked “RBRD” and “Sterling”. Weighs 108.2 grams. 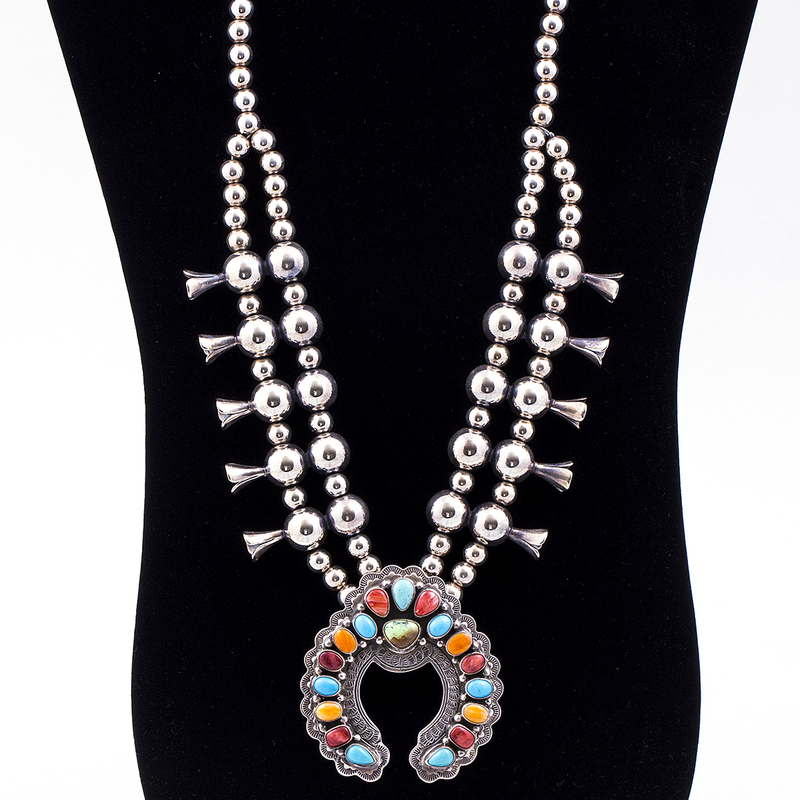 Navajo Robert Bird Squash Blossom features a selection of colorful stones in sterling silver. 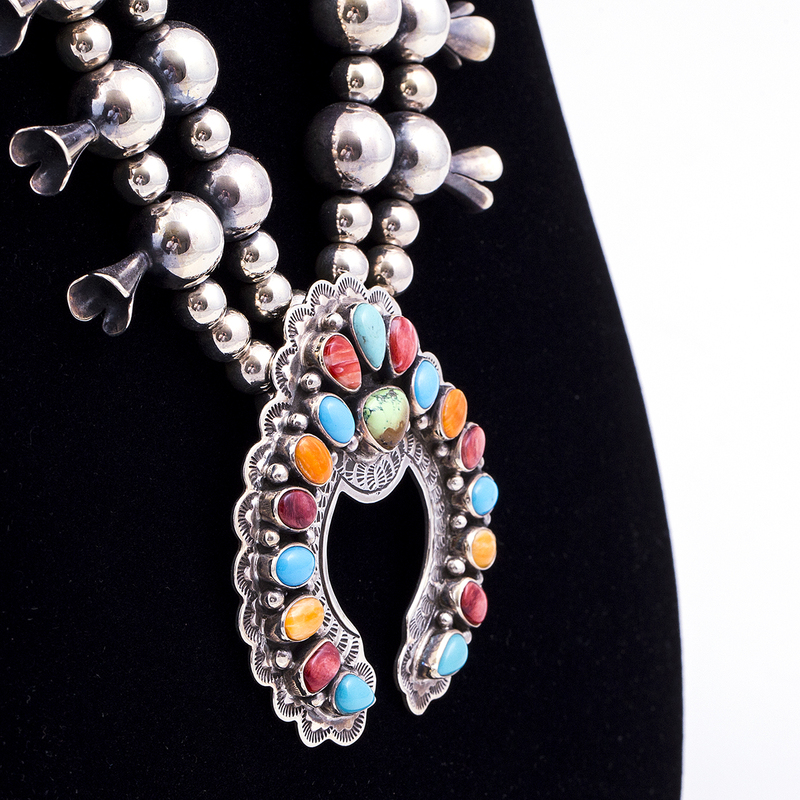 Handcrafted by a gifted Native American Silversmith.